Newsflash: despite earlier leaks, renderings, unofficial confirmations, and the billboard advertisement, a new advert for the yet unannounced Nokia Lumia 928 has been outed in Vanity Fair. This is a clear image of what the front of the device will look like. The glass panel completely covering the face of the phone matches earlier reports from people who claimed to have seen the device that described it as an all screen phone. From what I can make out, the body of the phone looks like it is metallic, again confirming earlier rumours. The advert is stirring up a lot of talk about the device, perhaps only days away until it is launched. 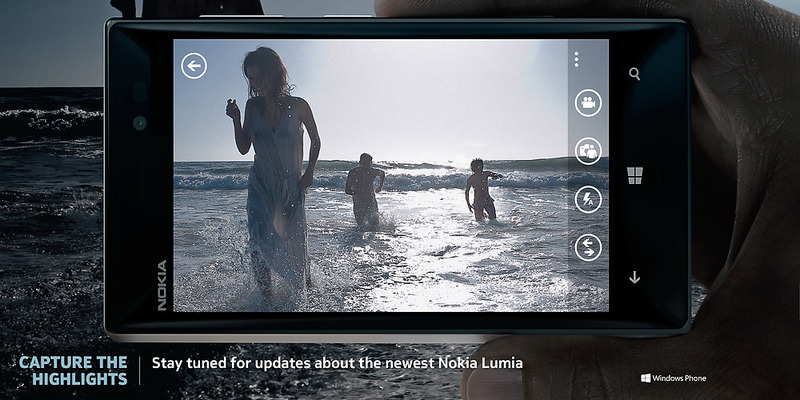 The expected launch date for the Lumia 928 is the 14th of May. Alongside the Lumia 928, the international version is meant to be launched at the event in London too. The Lumia 928 is expected to be on Verizon exclusively. 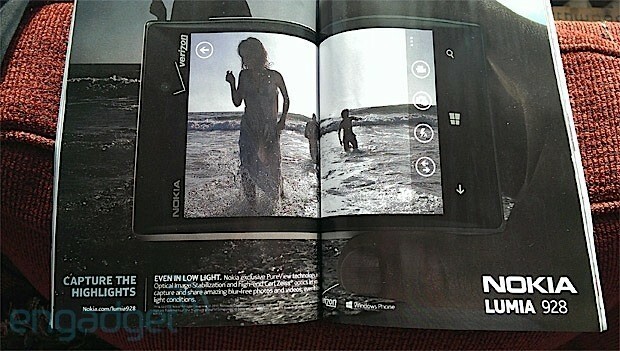 Not only is the advert in Vanity Fair, but the same picture of the Lumia 928 can also been seen on Nokia US’s website. The URL confirms that the device is called the Lumia 928. Interestingly, the picture has been named ‘NUSA-CP-Lumia-928-Hero-v2-jpg’ suggesting that the Lumia 928 is indeed the hero device that Stephen Elop has been talking about. I’m hoping that it is one of a few hero devices being launched later this month.